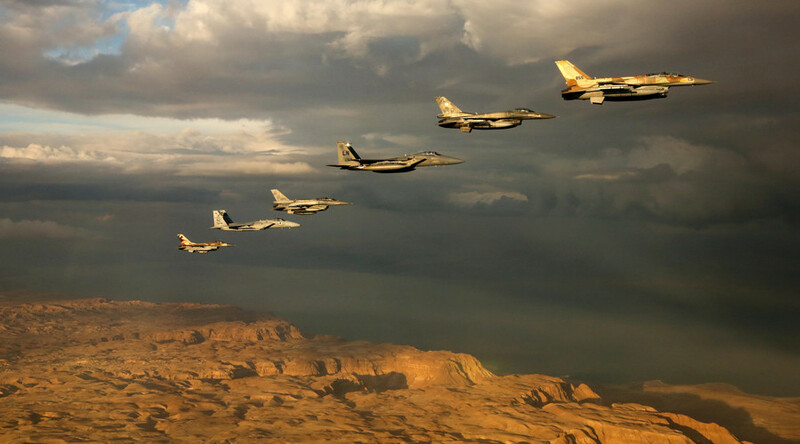 Israel hosts its largest-ever international air force exercise. Until November 3rd, local media reports. Not far from where the Russian Airbus 321 flight crashed. Tragic coincidence? A number of other countries, including Germany, also sent pilots and officers to observe the exercise, but did not take part. The various air forces collaborated closely through every step of the current exercise, the IAF captain said, from planning to execution and finally to debriefing. 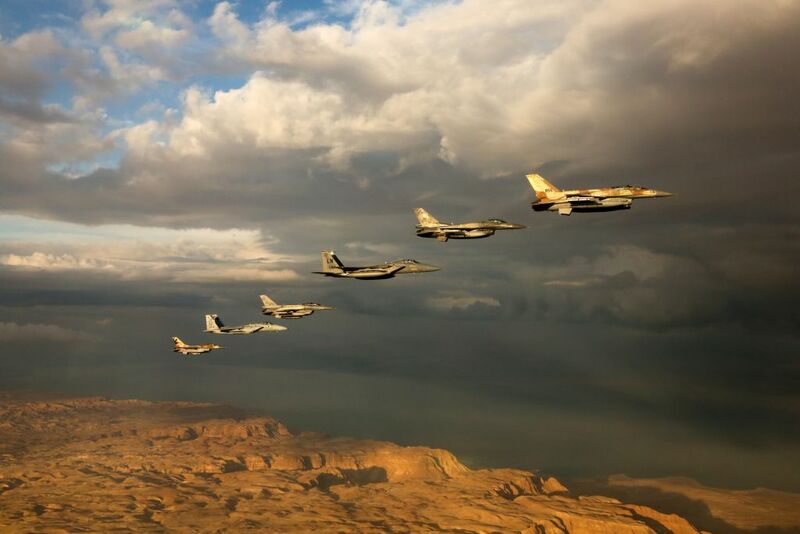 Israel is hosting its largest-ever international air force exercise. The two-week ‘Blue Flag’ drill features Israeli, American, Greek and Polish troops in a battle against a fictional enemy state. 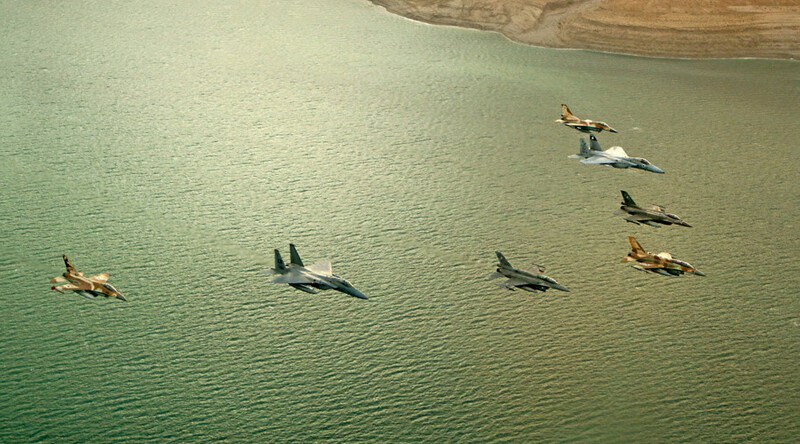 The Blue Flag drill consists of Israeli and American F-15 squadrons, as well as Israeli, Hellenic, and Polish F-16 squadrons flying through Israeli airspace while firing simulated weapons against fictional enemy missile launchers, convoys, and aircraft, the Israeli Air Force captain in charge of the exercise told the Times of Israel. However, the captain said the exercise is designed to test the capabilities of the troops involved, rather than the military equipment itself. “We wanted it to be challenging for the airmen, rather than for the machines,” said the IAF captain, who could not be named due to security reasons. The following maps are presented simply to put the sheer proximity of the military exercises and the Russian Airbus A321 crash. 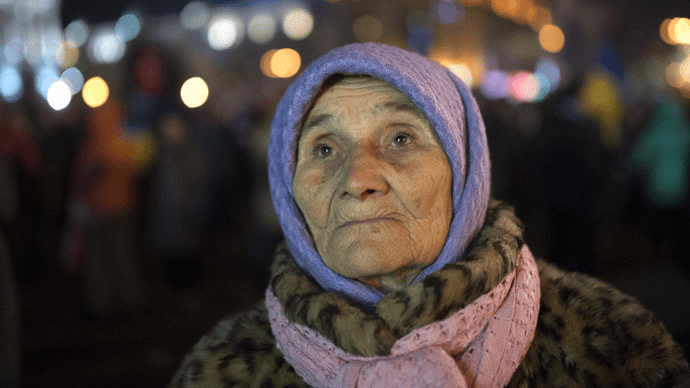 Russian Airbus A321 Crash – Can Putin Feel What Malaysians & Dutch Felt? However, the Egyptian government has rubbished that the plane was shot down by missile. 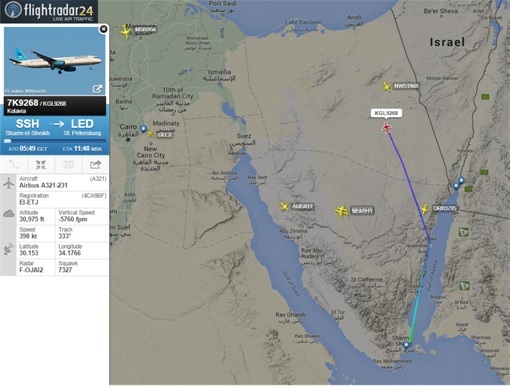 The Russian concluded that the Russian Airbus A321 that crashed in the Sinai broke up in mid-air at 36,000-feet. The plane had been heading from the Red Sea resort of Sharm el-Sheikh to the Russian city of St Petersburg before the crash. Ovda Airport is located 45 km to the north from Eilat. King Hussein International Airport is located 10 km to the north east from Eilat. U.S. claims it would make preparations to take in at least 10,000 Syrian refugees in the upcoming fiscal year. 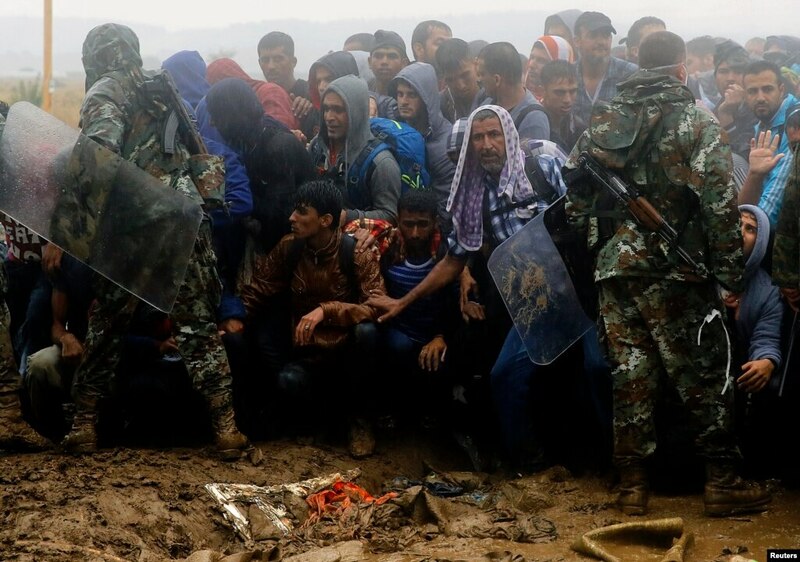 Macedonian policemen try to keep migrants and refugees under control before they cross the border line from Greece into Macedonia, near the Greek village of Idomeni, Sept. 10, 2015. Syrian refugees are flooding Europe following the deaths of hundreds of thousands of Syrians due to ethnic violence in the Middle East. The migrant crisis has engulfed Europe, leading many to ask whether the U.S. would take refugees from the continued fighting in Syria. On November 6, 2013, the Court heard oral arguments in the case of Town of Greece v. Galloway dealing with whether holding a prayer prior to the monthly public meetings in the New York town of Greece violates the Constitution by endorsing a single faith. WASHINGTON — The Supreme Court on Monday upheld the centuries-old tradition of offering prayers at the start of government meetings, even if those prayers are overwhelmingly Christian. The 5-4 decision in favor of the any-prayer-goes policy in the town of Greece, N.Y., avoided two alternatives that the justices clearly found abhorrent: having government leaders parse prayers for sectarian content, or outlawing them altogether. It was written by Justice Anthony Kennedy, with the court’s conservatives agreeing and its liberals, led by Justice Elena Kagan, dissenting. The long-awaited ruling following oral arguments in November was a victory for the the town, which was taken to court by two women who argued that a plethora of overtly Christian prayers at town board meetings violated their rights. While the court had upheld the practice of legislative prayer, most recently in a 1983 case involving the Nebraska legislature, the case of Town of Greece v. Galloway presented the justices with a new twist: mostly Christian clergy delivering frequently sectarian prayers before an audience that often includes average citizens with business to conduct. The court’s ruling said that the alternative — having the town board act as supervisors and censors of religious speech — would involve the government far more than Greece was doing by inviting any clergy to deliver the prayers. “An insistence on nonsectarian or ecumenical prayer as a single, fixed standard is not consistent with the tradition of legislative prayer outlined in the court’s cases,” Kennedy said. Kagan, joined by the court’s other three liberal justices, said the town’s prayers differed from those delivered to legislators about to undertake the people’s business. In Greece, she said, sectarian prayers were delivered to “ordinary citizens,” and their participation was encouraged. The legal tussle began in 2007, following eight years of nothing but Christian prayers in the town of nearly 100,000 people outside Rochester. Susan Galloway and Linda Stephens, a Jew and an atheist, took the board to federal court and won by contending that its prayers – often spiced with references to Jesus, Christ and the Holy Spirit — aligned the town with one religion. Once the legal battle was joined, town officials canvassed widely for volunteer prayer-givers and added a Jewish layman, a Wiccan priestess and a member of the Baha’i faith to the mix. Stephens, meanwhile, awoke one morning to find her mailbox on top of her car, and part of a fire hydrant turned up in her swimming pool. Let the world learn from this. The ukraine people got a reward for joining the EU,…That reward was a %50 cut in their pension and forced into an IMF Plan! (L-R, front) Chevron Exploration and Production Europe Derek Magness, Ukraine’s Energy Minister Eduard Stavytsky, Chairman of the National Joint Stock Company ”Nadra Ukrayny” Viktor Ponomarenko, (L-R, back) U.S. Ambassador Jeffrey Payette, Ukraine’s President Viktor Yanukovich and President of Chevron Europe, Eurasia and Middle East Exploration and Production James Johnson attend a signing ceremony in Kiev, November 5, 2013. (Reuters) – Ukraine signed a $10 billion shale gas production-sharing agreement with U.S. Chevron (CVX.N) on Tuesday, another step in a drive for more energy independence from Russia. The deal to develop its western Olesska field followed a similar shale gas agreement with Royal Dutch Shell (RDSa.L) in January and boosts Ukraine’s leadership at a time of fraught relations with Moscow over gas supplies. “The agreements with Shell and Chevron … will enable us to have full sufficiency in gas by 2020 and, under an optimistic scenario, even enable us to export energy,” President Viktor Yanukovich told investors shortly before the signing. The highest end of expectations for Olesska’s potential reserves would match around three years of European Union gas demand, but similarly sunny hopes for shale reserves in neighboring Poland have been very sharply downsized. Shale development in Europe is far behind the booming U.S. sector and progress is patchy. Chevron pulled out of a shale exploration tender in Lithuania and has suspended work at a Romanian shale well after local protests. French President Francois Hollande (L) welcomes the head of the Ukrainian opposition UDAR party Vitali Klitschko (R), and the Ukrainian MP Petro Poroshenko at the Elysee Palace in Paris on March 7, 2014. The United States and the European Union have begun “looting” Ukraine’s resources to obtain stability and legitimacy for their new “puppet government” in Kiev, an analyst writes in a column for the Press TV website. 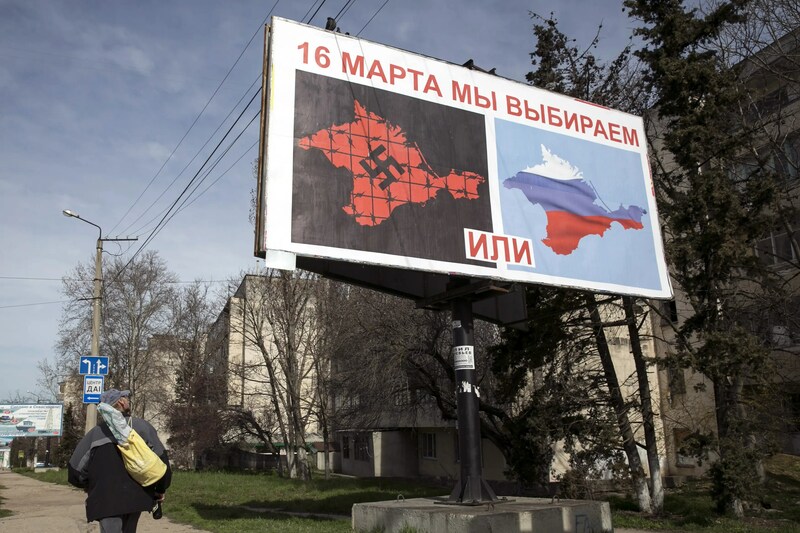 “Before anything approaching stability and legitimacy has been obtained for the puppet government put in power by the Washington orchestrated coup against the legitimate, elected Ukraine government, the Western looters are already at work,” Dr. Paul Craig Roberts wrote on Friday. Roberts pointed to the EU plan to grant Ukraine an 11-billion-euro ($15 billion) aid package over the coming years. The plan was announced by European Commission President Jose Manuel Barroso on Wednesday. “The corrupt Western media describes loans as “aid.” However, the 11 billion euros that the EU is offering Kiev is not aid. It is a loan. Moreover, it comes with many strings, including Kiev’s acceptance of an IMF (International Monetary Fund) austerity plan,” he added. Iceland President Olafur Ragnar Grimsson tells Al Jazeera’s Stephen Cole that Europe should let banks that are ran “irresponsibly” go bankrupt. Speaking at the annual World Economic Forum in Davos, Grimsson also held his country as a model of economic recovery after its near-collapse four years ago. FAIR USE NOTICE: This video has been posted to further advance our understanding of environmental, political, human rights, economic, Technological, democratic, scientific, and social justice issues which constitutes a “fair use” of any such copyrighted material as provided for in section 107 of the US Copyright Law. In accordance with Title 17 U.S.C. Section 107 for research and educational purposes. Forest / Wild Fire in Greece on Monday, 05 August, 2013 at 14:15 (02:15 PM) UTC. Greek firefighters are battling a large wildfire in a hamlet north of Athens that has burnt at least two homes and is threatening others. The fire broke out Monday at Avra near Marathon, some 50 kilometers (30 miles) from Athens. It spread quickly because of strong winds. No injuries were reported. Eight fire-dropping aircraft were assisting some 60 firefighters in efforts to extinguish the blaze. A Greek firefighter carries a hose as a forest fire rages in Marathon near Athens August 5, 2013. (Reuters) – A wildfire fanned by strong winds raged near Athens on Monday, damaging homes and sending residents fleeing, fire brigade officials said. Reuters witnesses said the blaze had damaged at least three homes at a hamlet by the town of Marathon – the site of the historic 490 BC battle between Athenians and Persians about 40 kilometres (25 miles) northeast of the Greek capital. A Greek firefighter runs to safer ground as a forest fire rages in Marathon near Athens August 5, 2013. “The flames have reached homes, but we don’t know yet how many are threatened,” said a fire brigade official, speaking on condition of anonymity. Municipal police demonstrate during a general strike in Athens on July 16, 2013. Thousands of Greeks have staged a substantial rally in the capital city of Athens to protest against a bill that includes plans to cut thousands of civil service jobs. At least 16,000 protesters gathered outside the parliament in Athens on Tuesday, shutting down municipal services by disrupting public transport and medical work. The massive walkout came after unions called for a general strike against fresh austerity measures the government is imposing in order to receive billions of euros in bailout loans. The latest austerity measure is required by the country’s international lenders, including the European Union and the International Monetary Fund (IMF), in order for Athens to start receiving EUR 6.8 billion (USD 8.9 billion) of fresh aid. The Greek bill is expected to be passed on Wednesday, placing 4,200 public workers, including teachers, school wardens, and municipal police under so-called redeployment. By the end of this year, some 25,000 civil servants must be redeployed overall and an additional 4,000 fired in order for the country to receive the tranche in bailout rescue loans. Greece is experiencing its sixth year of recession, which has forced it to impose harsh austerity measures over the past four years in return for multi-billion-euro international bailouts to avoid defaulting on its debt. The measures are deeply unpopular among the population as citizens have seen their pensions cut and their salaries reduced by up to 40 percent. Furthermore, the country’s overall unemployment rate has reached a level not seen in its modern history as it stands at 27 percent; the rate is at a shocking 64 percent among the youth. 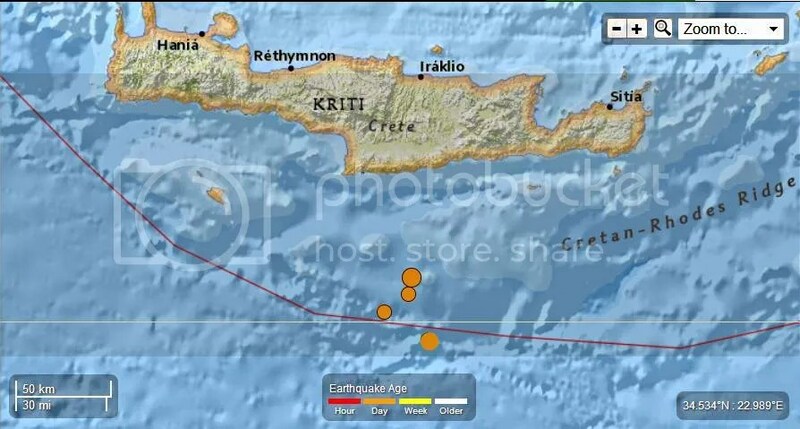 Greece – Greece – 4 EQ’s from 5.8 to 4.0 Mag June 16th 2013 – A Total of 15 EQ’s in the last 2 days. In the Mediterranean region there is a written record, several centuries long, documenting pre-instrumental seismicity (pre-20th century). 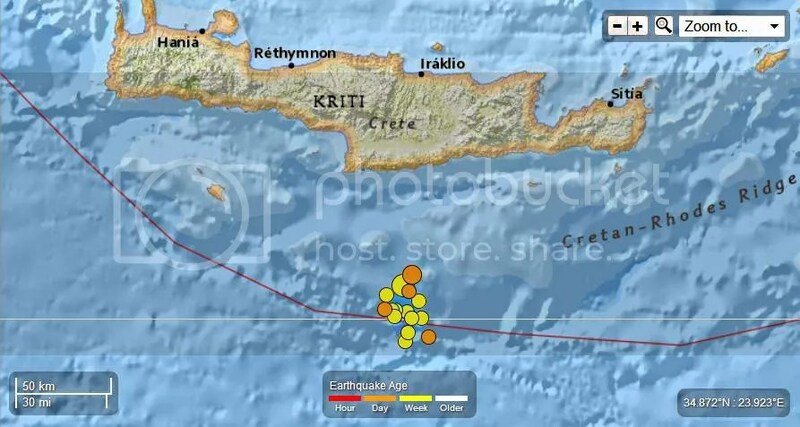 Earthquakes have historically caused widespread damage across central and southern Greece, Cyprus, Sicily, Crete, the Nile Delta, Northern Libya, the Atlas Mountains of North Africa and the Iberian Peninsula. 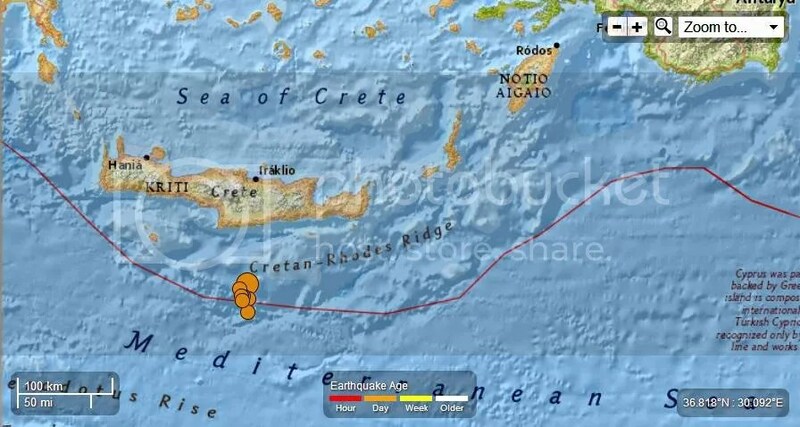 The 1903 M8.2 Kythera earthquake and the 1926 M7.8 Rhodes earthquakes are the largest instrumentally recorded Mediterranean earthquakes, both of which are associated with subduction zone tectonics. Between 1939 and 1999 a series of devastating M7+ strike-slip earthquakes propagated westward along the North Anatolian Fault Zone, beginning with the 1939 M7.8 Erzincan earthquake on the eastern end of the North Anatolian Fault system. The 1999 M7.6 Izmit earthquake, located on the westward end of the fault, struck one of Turkey’s most densely populated and industrialized urban areas killing, more than 17,000 people. 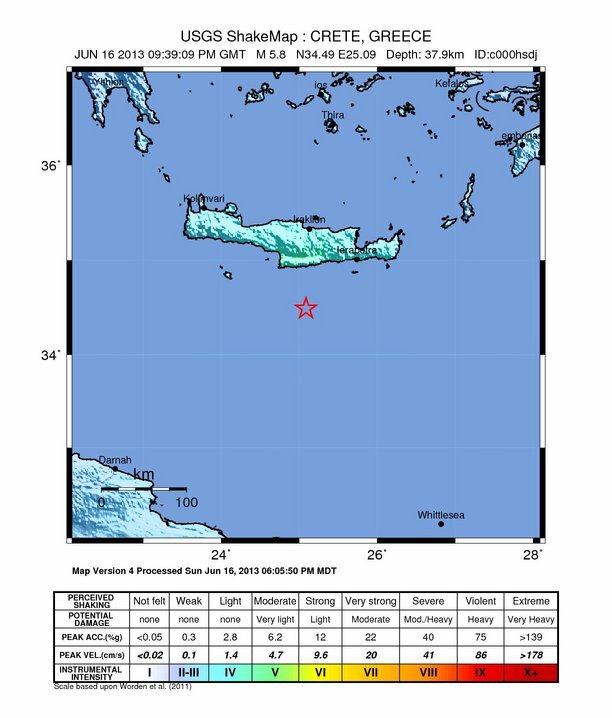 Although seismicity rates are comparatively low along the northern margin of the African continent, large destructive earthquakes have been recorded and reported from Morocco in the western Mediterranean, to the Dead Sea in the eastern Mediterranean. The 1980 M7.3 El Asnam earthquake was one of Africa’s largest and most destructive earthquakes within the 20th century. 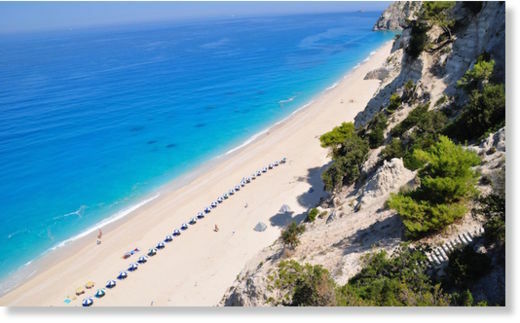 Large earthquakes throughout the Mediterranean region have also been known to produce significant and damaging tsunamis. One of the more prominent historical earthquakes within the region is the Lisbon earthquake of November 1, 1755, whose magnitude has been estimated from non-instrumental data to be about 8.0. The 1755 Lisbon earthquake is thought to have occurred within or near the Azores-Gibraltar transform fault, which defines the boundary between the African and Eurasian plates off the west coast of Morocco and Portugal. 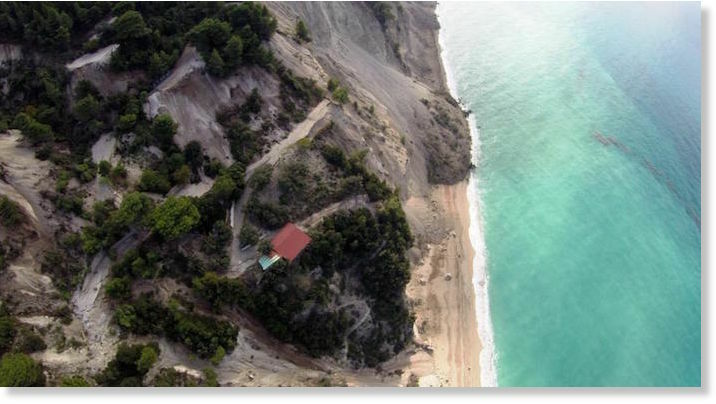 The earthquake is notable for both a large death toll of approximately 60,000 people and for generating a tsunami that swept up the Portuguese coast inundating coastal villages and Lisbon. 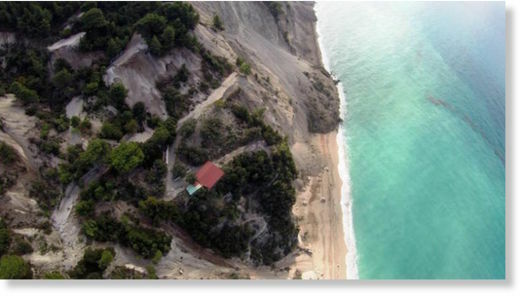 An earthquake of approximately M8.0 near Sicily in 1693 generated a large tsunami wave that destroyed numerous towns along Sicily’s east coast. The M7.2 December 28, 1908 Messina earthquake is the deadliest documented European earthquake. The combination of severe ground shaking and a local tsunami caused an estimated 60,000 to 120,000 fatalities.